We have already given you the best fishing kayaks under 400 dollars. 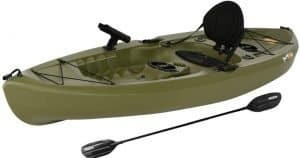 And if you are looking for the best fishing kayaks in a higher price range, then we give you the best fishing kayaks under 800 dollars. As mentioned in the previous post, there many different brands and models of great fishing kayaks in the market nowadays. That is why it can be a challenge picking the best one for you. So with the goal to help you make your fishing kayak shopping a lot easier and stress-free, we have picked the best kayaks and grouped and categorized them under certain cost segments or price brackets – under 300 dollars, 400 dollars, 800 dollars, and 1000 dollars. Kayaks have made a great name and created a trend in fishing these days. 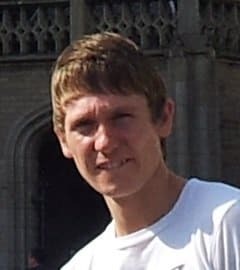 It is because they can give you the advantages that you may not get from the traditional and motorized fishing boats. Fishing kayaks also gave anglers and fishing enthusiasts so much to love, not only because you can get good ones at such an affordable price but also these fishing kayaks fishing kayaks all provide stability, storage, and a mix of other accessories and features to keep you comfortable, organized, and dry. 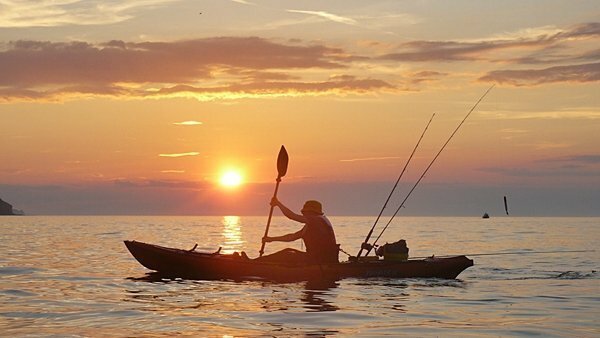 Choosing the best fishing kayak is important to a lot of anglers or fishermen. Especially for those who like treading on shallow and small bodies of water, and even on rocky waves or a tranquil river. Getting a kayak which is around 800 dollars, or a bit less than, is a smart choice. At this price range, you can say that you are not spending a lot on the kayak but you can truly enjoy the features that are required for enjoying kayak fishing. Also, you are not losing features and functionality by underspending. This fishing kayak leans on to a much compact and easy-to-carry type. The Vibe Skipjack fishing kayak can be tagged as small but terrible. With just a 9-ft length, this kayak comes with a variety of features that will allow you to enjoy fishing like a pro. The deluxe cushioned chair that is mounted on this sit-on-top fishing kayak is loved by most of its users. This chair seat offers comfort and ensures that the fisher will not get tired even during an all-day fishing venture. Since this fishing kayak is light and compact, you can easily carry this on top of your truck or SUV. The kayak even comes with four carrying handles. These handles offer easy and firm grip for ease of transportation. Also its small size and lightweight, these kayaks could totally provide stability and maneuverability. We all know how storage is very significant when it comes to fishing, and this Skipjack does not disappoint! It has large storage options which include two hatches with small bag inserts. It also has a big bungee tank well on the rear which provides a good and sufficient space for your belongings and fishing gear. The kayak itself can also be installed with different accessories for your convenience. If you are the type who carries a lot of fishing rods, you might like this kayak too. It comes with four capped rod holders alongside a mounting point for various accessories, with two paddle holding options. This well-designed kayak is made of high-density and high-quality polyethylene material that features durability and sturdiness. This polyethylene is also UV-protected to enhance durability and longevity of the material. The Lifetime Tamarack is loved by the seasoned anglers and fishers, but its stability may be a problem for the beginners. When it comes to comfort, this fishing kayak provides it nicely. Its footrests are adjustable and changeable according to your height or size, and preferences. The seat of this kayak is also padded for maximum comfort during the whole fishing duration, only that some users observe that it is kind of difficult to adjust. With features that promise comfort, you can go fishing for hours without worrying about discomfort and unexpected body pains. Storage-wise, this boasts two 6-inch storage compartments at the back. One is also located at the center with shock cord straps to prevent your gear from falling off the kayak. It also comes with two flush-mounted holders for your fishing rods. Two paddle cradles and one top mount rod holder are also present and functional. Easily tipping over is not a concern for this kayak since t is equipped with chine rails alongside deep hull tracking channels. For easy transport, this kayak has front and rear t-handles. The Perception Pescador 13.0T is not only great for fishing but also for casual cruising and exploring. Kayak enthusiasts love how this kayak is very versatile and could be used all-around. Being a well-rounded and versatile kayak means that you get more from the money you spent. The most loved feature of this kayak is its extreme stability and self-bailing ability. Both of these features are very useful for anglers and even for recreational activity. 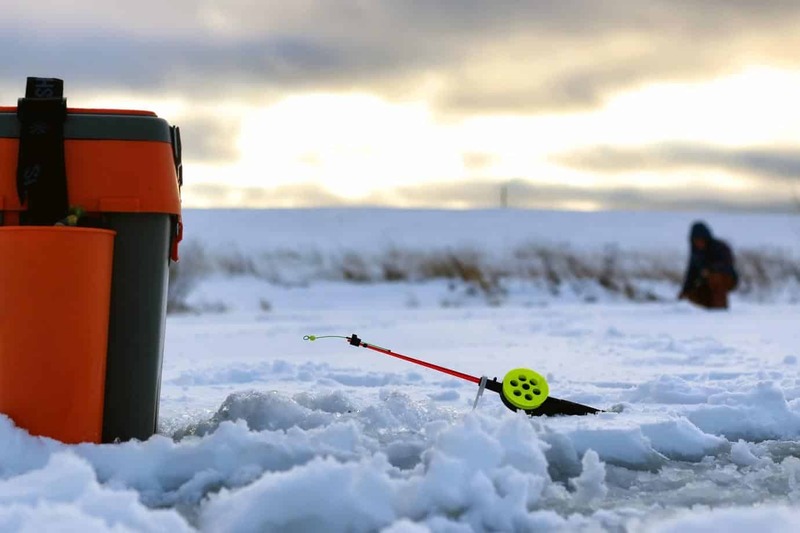 Its speed, and straight-tracking performance make it even more fun even for the beginners to explore and fish in lakes, ponds, and flat-water rivers. This 13-ft kayak also has so much room to accommodate 2 adults and a child or a pet making it perfect for a family kayaking venture. However, if you want to go fishing alone, you can totally do so. One downside of this kayak is that it does not have much storage, just two compartments at the front and rear with bungee cables. But because of its superiority when it comes to stability, speed, and maneuverability most users don’t mind about the lesser storage. Although, this Perception Pescador is sold with hatches you’ll need to insert bags directly into keeping your bait and fishes easily. The seats of this kayak are super comfortable, paired with molded footwells to help you stay long during the fishing venture. The paddle park option also can help you mount holders to keep your paddles safe. The Ocean Kayak is known to produce lavish and great kayaks for fishing purposes. 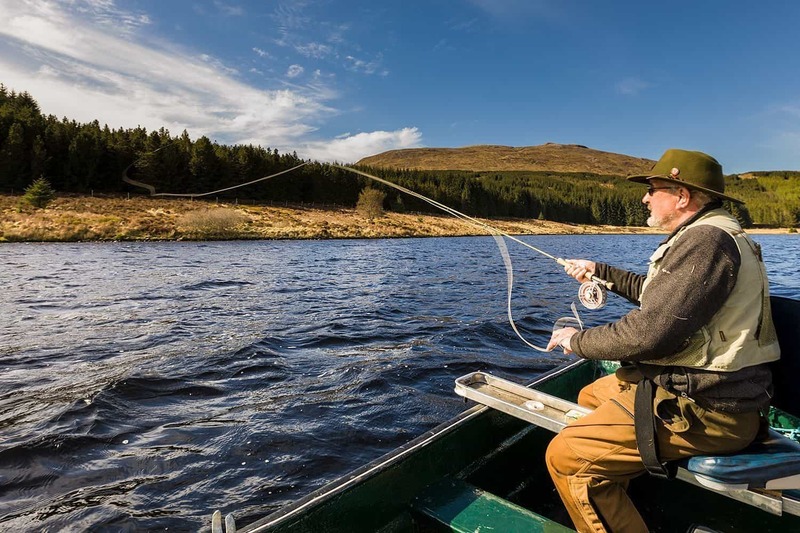 The Caper comes with great functional features and designs that are perfect for your fishing ventures. This fishing kayak comes with a comfortable seat that is corrected on a mold-in seat to keep you comfortable and easy. Two flush mounted rod holders are also mounted behind the seat to maintain your fishing rods on the kayak that provide satisfaction while you go throughout the fishing experience. The storage options of this fishing kayak is also great, it has a big hatch and convenient on-deck storages. The kayak also includes carrying handles to make sure you can conveniently carry it anywhere you desire to. This fishing kayak is equipped with a Comfort Plus seat that is designed to ensure you have a comfortable fishing day. The kayak also includes a molded-in cup holder in case you would like to carry with you a drink to enjoy. It also features two mounted paddle holders on the side for hands-free fishing and convenience. The Ocean Kayak Caper Angler Sit-On-Top Fishing Kayak has two scupper holes in the back and at the front. Although they work well, however, you might still get wet because the footpegs and area under the seat do hold water. 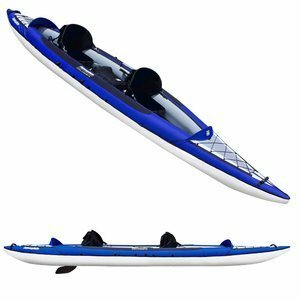 Overall, this is a great quality fishing kayak that is easy to maneuver, has enough storage and has a really comfortable seat. If you don’t like to get too wet when fishing, then this sit inside kayak will suit you best. 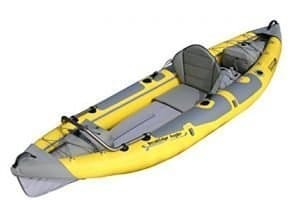 The Excursion 12 SS by Sun Dolphin is a good fishing kayak that you could get for less than 800 dollars. This 12-foot kayak is pretty much similar to its sibling, the Sun Dolphin Journey 12-foot sit-on-top fishing kayak. The main and most notable difference is that this is a sit-inside type. Many anglers recommend this model by Sun Dolphin to use for lake and pond fishing. This fishing kayak offers maximum stability and is super easy to track and maneuver. It is very lightweight, so you easily carry it and transport on the back of your SUV. It also comes with retractable handles for your convenience. The seat of this kayak is fairly spacious and wide but is not the most comfortable. However, it is very sturdy and it gets the job done so it is not a problem for most anglers. The Excursion 12 SS boasts a large open cockpit with a storage compartment great for your bel for your essential gear. And to ensure you don’t lose your gear, it comes with shock cord deck rigging to fasten it. It also comes with a PAC or Portable Accessory Carrier that you can choose to use as an extra storage compartment. You can remove this large dry storage and tow it behind the kayak. This fishing kayak is known to be durable and will last long years of usage. The Emotion Glide Sport Angler Kayak. This fishing kayak comes with flush mount closed-ended rod holders behind the seat. It also includes a bolted-in padded seat and seat back and beverage holder. 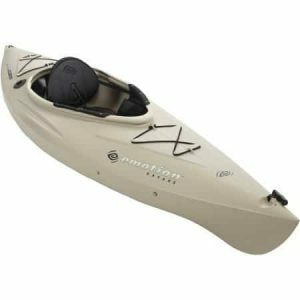 When it comes to comfort, this kayak also provides it through its adjustable foot braces, thigh pads, and rear foam block for additional floatation. A paddle keeper is also mounted on the kayak. Great storage, front, and rear deck bungee are available to secure gear and belongings. However, you may always want to secure your belongings in a dry bag since the storage compartments are open and are prone to getting wet. Bow and stern toggle handles are also present for convenient carrying. This kayak is compact and lightweight making it easy to transport. The slight V-shaped hull of the Emotion Glide gives excellent stability and tracking. This kayak is super durable since it is made of high-density polyethylene. Many users have claims how easy is loading and unloading when using this kayak. Glide Sport kayak is definitely and constantly chosen by many for fishing and paddling longer distances. Anglers really appreciate how this kayak moved quickly in the water without losing its great stability. Inflatable kayaks are known to provide ultimate portability and transportation. It is because they can be deflated, folded up, and carried up in a backpack. If portability is important to you, and you constantly go fishing alone, then the Advanced Elements Straitedge angler kayak will be perfect for you. If you worry about scary punctures, then let us inform you that the Advanced Elements have offered you this kayak with a sturdy and rugged inflatable construction. For maximum and reliable durability, they have used multi-layer material and abrasion pads. It is also constructed with a wide beam to ensure maximum stability and to help you easily and confidently fish in this kayak while standing. This fishing kayak also has two fishing rod holders behind the seat. Not only that, it also boasts a revolutionary removable mounting rail, so you can customize your fishing kayak with aftermarket rail mountable rod holder, fish finder, compass and other accessories. When it comes to storage, it has large bungee deck lacing in the front and the back. It also has paddle holder to keep your paddles safe when not in use to keep your hands free. 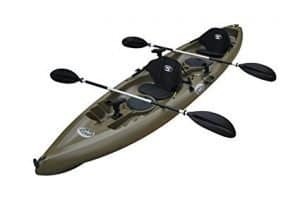 The most-loved feature of this fishing kayak is the adjustable high back seat and inflatable lumbar support that is super comfortable for long hours of fishing. 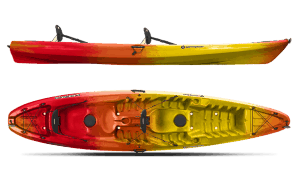 This fishing kayak has been designed to be used in river class I-III rapids, flat water, and even saltwater. 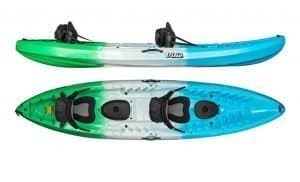 Not just because the kayaks you chose to buy are a couple dollars cheaper, does not mean that they are of low-quality. You’ll be even surprised that these affordable kayaks might be as good or even better than the high-end ones. We hope that the selection above have helped you choose the best fishing kayak for you and your fishing ventures. Always consider your preferences and lifestyle when choosing a kayak. We are confident that all the kayaks we have mentioned have great features and you won’t regret spending your money on one or two of them. If you want to go for a cheaper one, check the best fishing kayaks under $400.